Some of the best endpapers we've seen this year and such a well-crafted story where image and word are in absolute harmony. One of our favorites this year, for sure. If you're the thoughtful, observant type, you’ll definitely connect with this small yellow warbler and his new friend. Seek it out, read it and get lost in The Fog (preferably on a slightly muggy, overcast evening). It's made for re-reading and is such a great one for young readers to mull over. 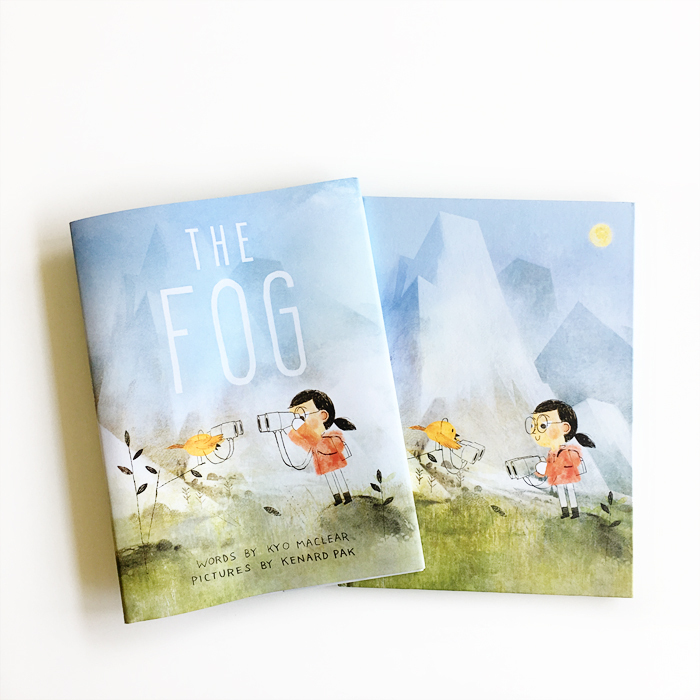 The Fog was written by Kyo Maclear, illustrated by Kenard Pak and published by Tundra Books.